This week we are going to reduce our spending. Why may you ask? Because spending our money is killing our finances. We know that if we reduce our spending things will get better, right? But the honest truth is that reducing our spending might not be as easy as we think. If reducing the way I spend my money came naturally to me, I wouldn’t be talking to you about my financial issues, right? 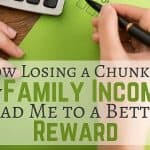 I know I’m not alone when it comes to money spending TONS of us will appreciate a few tips to help us cut down. Now, the truth is that sometimes we spend money and don’t even know about it. And that’s ok! Thinking that you don’t, I will ask you to continue reading and check this list of things and see for yourself. We need to reduce our spending! Reducing and cutting back on the amount of money we spend every week will help us even better! I'm pretty sure you need to reduce your spending as well that's why you are here. So what's our plan to help you reduce our spending? First, let me start by saying that you can start reducing your spending one step at a time. Understand that the way we manage our money will be different from others. Life always throws us curves, we are all different, which means that our finances are different as well. For this reason, we should always remember that what works for me, might not work for you. 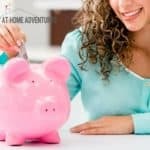 So, keep in mind that some of these tips on how to reduce your spending might not work for everyone, but will give you an idea on how to reduce your spending. Too much spending will definitely affect your budget. Now is the time to sit down and take a look at what needs work and start readjusting it. Remember that without a budget, you won’t be able to understand your finances and where your money is going. We have written about budget templates you can use to help you create your family budget. I will remind you to take your time when creating your budget and most importantly be honest with yourself. Write every income and every expense down for the month and start from there. Obviously, this is not as easy as it may sound. That being said, we need to stop all spending as soon as possible in order to get our finances back on track. This spending freeze is not forever, but since we need to reduce our spending, it is necessary. We need to make sure we take this one week at a time by not buying things you don't need. Our 7 Days No Spending Workbook is a great way to start reducing and keeping track of your spending. Earlier in the year, we created a yearly goal as well as a monthly goal. To get back on track, evaluating and going over goals will help you get you motivated and help you reduce your spending. Keep your goals visible and most importantly achievable. Don't create goals that are so hard, but don't make it super easy either. Goals are supposed to be challenging! 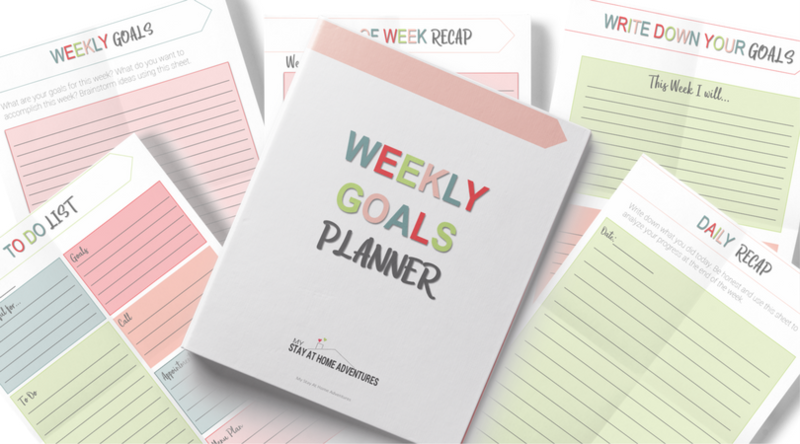 Download our weekly goal planner for free when you click here. When all else fails, simply use cash. You know yourself, and if you are like me, you tend to overspend when you have plastic in your hand. 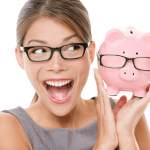 I can tell you that using cash will help you stay within your budget and help you save money. This is something that is important. If you go out to the mall with the intention of not shopping, chances are you are going to fail. You are also spending money just going anywhere if you think about it. The cost of gas to just simply window shop, it’s not worth it. Avoid going out. If you walk, chances are you will walk to the nearest park or around the block. These are simply a better alternative and good for you as well. Instead of buying that book, why don’t you check it out at your local library for free? Want to rent a DVD? See the library selection and see what’s available. This will help you reduce your spending for sure since it will be free unless you don’t return it on time. If you are sitting with items that you no longer care for, why not make a buck and sell it? Host a yard sale and make some extra money. 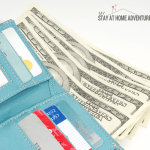 This is always a great way to declutter and the money can be used to pay your debt or to save. Find ways to help you reduce the cost of your utilities. I give examples of how to save money on your electric bills here. 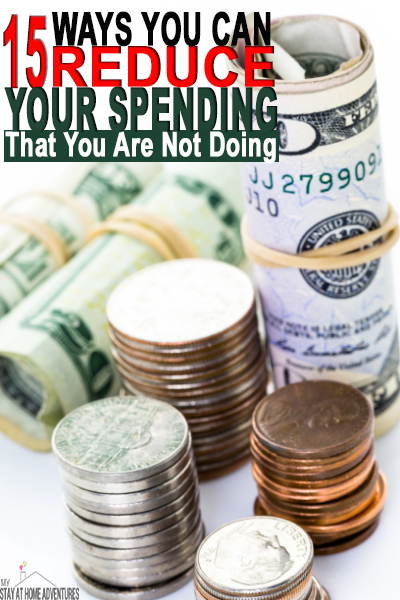 You might think this will not help you reduce your spending, but it will. Reducing the amount of money you spend on your utilities means more money for you to pay on other debt or to save. 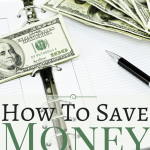 You can reduce your spending by finding ways to save money on your groceries. This can be done by writing down a menu plan, using a shopping list, and matching coupons with store sales. These tips will help you reduce your spending on your groceries in no time. If you have credit cards that give you rewards, why not cash them out? If you use programs like Swagbucks, My Points, etc, find out if you are able to cash out your reward and use them to help you reduce your spending. If you work outside of the home, packing your lunch will surely help you save money and reduce your spending. When on a spending freeze, avoid deal sites, sale alerts, and deal emails. As much as this might hurt you, the best way to avoid temptation is to stay away from the influences. If you want to reduce your spending, avoiding these sites will help you stay focused. Preparing your meals at home will help you reduce your spending. Shop from your pantry if necessary to avoid spending more money. If you have the same insurance company for more than 2 years, maybe it’s time to shop around for a better deal. Lowering your insurance bill will help you save money and reduce your monthly spending as well. If your financial institution charges you fees, and you have more than one account, this could add up. Find a bank institution that won’t charge you bank fees like Captial One 360. These 15 tips on how to reduce your spending are examples that work when reducing your spending. From shopping around for insurances company, to simply avoiding eating out will reduce your spending in no time. Start today by doing one of these 15 tips and tomorrow start another and so on. You will be reducing your spending and seeing your saving grow. These ways of reducing your spending are great and won’t make you miserable in the process. There are so many ways on how to reduce your spending, tell us which tip or tips helped you reduce your spending. Please share it with us. Good tips! We’ve been on a budget for a couple of months and were doing well until my son got sick. Thankfully we keep a little rollover for times like this. We’ll try again for May. I don’t think I can prepare myself enough when one of us get sick. I hope your son is feeling better and I completely get what you are saying. The good thing is that you are picking right back up. These are great tips, Joyce! We like to start planning for our home improvement and gardening projects in the Spring so we adjust our budget accordingly to accommodate that. And then if we do go over, we’ll put a spending freeze on. Right now I’m on a list. 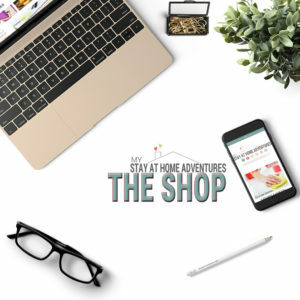 I have went over what we need to purchase and see if we can find it on deal. For that reason alone we are on a freeze until later. 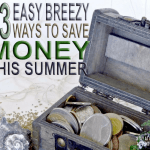 We have a few things planned for the summer and we have to follow our budget in order to enjoy our summer. Such great tips! I definitely agree with avoiding deal sites because they are often the pull to get you to spend a lot more than you planned. When I see a promo code it usually requires a minimum spend too…which I’m sure is all part of the plan, ha! You just described me! HAHA! Deal sites are terrible and they normally get me around holidays. I’m like OK well If I spend this amount I’ll get the deal. Other than the going out to eat, reading this made me feel pretty good about my springtime savings! Good for you Leanne! We have so much little trips planned and we are so trying to be good during this spring.